Barefoot Angie Bee: Barefoot running, loosing fat and marathon training. Barefoot running, loosing fat and marathon training. I started running barefoot in June of 2009. This allowed me to increase my mileage and train without injury. I PRed in my 5k time as well as run a half marathon last October faster by over 25 minutes than a 20k that I ran in the spring with shoes on. Going barefoot has let me train more often so I lost some weight too. I weighed 161 last summer and now weigh 146-147ish ( am 5' 9"). I have cut calories and use Livestrong's Daily plate to keep track of my calories taken in as well as burned. The accountability has been crucial to weigh loss. I am cross training and I can tell that my core is stronger. I don't get the tired slump in my shoulders at the end of a long run. My legs keep on moving even when before they would be screaming to stop. After my long run of 21 miles on Sunday, I started thinking about the Des Moines Marathon in October (Boston Qualifier). I could run a marathon now. I could finish it albeit slowly but I could push through. I have done that before and I hated running for years after. I don't want to just bull head it. I want to run a marathon smart and well and at the end love the journey and want to repeat it. I will run a marathon barefoot. It is a bit of a novelty and makes me feel unique but honestly its just what works for me. I think that running shoes are hurting runners and that minimal or bare is best for everyone. We all have feet and ankles, knees ect and they are a beautiful example of perfect mechanics. I think that running shoes screw up the design of our bodies and lead to injuries. You don't support an arch. The nature of an arch is to support itself. I am human and the shoes were a disaster for me so I am led to think that its the same for most other people especially when 75-80% of all runners suffer from injuries every year. I started slowly and added distance quarter mile by quarter mile for a couple of months before being able to run 10 miles or more. It took patience and then some more patience but it has paid off with me being able to log 42 miles last week and feel better than ever. Now that I am thinking about my marathon as well as a 50k this year too, I am thinking that my feet have adapted and its not my feet I am worried about its a whole body training and my feet are just as capable as the rest of me to hold up. That being said I also think that the less fat I have on my body the more efficiently it will work. If I had 10 lbs less fat to lug around for 21 miles, how much faster could I go. Much like loosing the shoes, loosing the extra poundage is a slow going life change. Its adapting and listening and waiting and pushing through sometimes. Its not easy and sometimes it hurts and I want to just say "eff it all and give me a HoHo!!" Loosing weight has been significantly harder than learning to run naturally. Once I got rid of the shoes and saw immediate improvements it was easy. I just had to put in the miles and since I loved running again it was easy to put in the miles. Food however is tricky. It was modeled to me by my parents that food is a form of self medication and coping mechanism. I was rewarded with food growing up. Good times were always centered around food. Because there was an inherent lack of communication, food was an easy way to hang out without real dialog about subjects of substance.All of my family ,aside from my father, are over weight and not by just a few pounds. When I went gluten free, I felt as if I had lost a friend. Now that I am gluten and casein free, oh my, it hurts my heart and I don't like that I have that subconscious response to food. It is not a functional approach and it is destructive to my goals and dreams not to mention the negatives of it from a parental perspective. I have to be vigilant about my positive eating and how I view my eating both mentally and emotionally as well as change my subconscious reactions to food into positive healthy ones. I started thinking of all this after getting bloated after my long run. I think the run disrupted my digestive system and I feel huge. It is starting to go down and go back to normal and I was told by an ultra runner friend that my body will get used to it so I am not too worried but I don't like to feel like I am going backwards. The way I see it, if I cut calories too much I don't have energy to do the exercise and there is no improvement and only minor weight loss. I also need to be aware of my immune system and the risk I take getting sick by cutting calories especially since I live in a germ factory with my 4 male spawn. I feel stuck and need to jump start my body. So back to my first barefoot marathon. I want to loose weight as well as get faster. What if I could qualify for the Boston Marathon as a barefoot runner! As a neurotic blogger, that would be fodder for more followers!! I feel stuck right now with so much going on in my life. The more I exercise the hungrier I get and the harder it is to keep the calories down. My plan for this week is to get some miles in tomorrow and Friday to stay on track with doing 30 this week to make 400 at the end of April. I want to catch up on Glee and Lost anyways! In my mind I am already planning out a Sunday morning 20 or more miler. Tonight is Plyometrics in P90X. I am still keeping up with that and looooove ab ripper X!! Today I am looking into Marathon training plans. Anyone have an old Garmin maybe the 305 that they want to get rid of??? Oh morning run, why can't you be my friend. Why can't it just be easy to get out of that warm bed in the mornings. You may very well be the key to my success, morning run. I didn't run this morning and I so could have used it after a very full and stressful day. Just found out about a sweet giveaway! Bookstore gift certificates! Go check it out! Know what else would improve your marathon experience? Not worrying about how much you weigh. Just be active and make sure you eat enough fruit, veggies, etc. Here's a total whack-job theory I just came up with: when you say to yourself "I shouldn't eat that," the part of your brain that controls the fat storage hears you. It assumes you are rationing for a famine, because why would anyone want to be skinny, so it stores all the fat it can. If you're a glutton like me, your body learns that food is always plentiful BUT those calories are going to be burned. So be a pig and run a bunch. That's what Dr Josh says. That's obviously a riff on someone else's theory. But everything is derivative, etc. I know better than to comment on a females weight, so I'll only speak to calories. That is a wonderful journey you have made since June. I so totally agree with you that we don't need crutches to move around and shoes are just that. I don't think our ancestors were sitting by the fire trying to figure out what kind of support they needed to invent for their arches. Good luck with your training. With your determination I am positive you can BQ. Do you think you will run your 50 before or after the marathon? As for food, I wish I could advise but after today (not a good food day for me) I should just keep my mouth shut. I only know that sometimes I manage to put myself in this state of mind when controlling my cravings is actually easy. It is almost like being in the zone but for good nutrition. Sometimes I can go on like that for months. Friends can eat junk around me and don't mind, I smile politely, say no and I don't feel deprived at all. And then something changes and I have days like today when I cannot find any control. Being perimenopausal does not help here either. Maybe having a goal like BQ will help you. Please, just keep us posted about your journey. I for one find your blog very motivating. 1) Don't your feet get dirty? 2) What about stepping on glass? Or other objects? after reading your comment again, I am thinking its pretty sound advice! The only problem is that I have more time to eat and not as much to run! I just need to get my head wrapped around being friends with hunger again. Its getting there, kind of like easing into cold water! I know what you mean. Some days are easier than others. Some months, weeks. It depends on what stressers I have had and how often I am able to burn up that stress running. 1) My feet get pretty dirty! Its usually just on the bottoms where they don't touch the ground like my arch or the back of my ankle. I try and run through puddles if I see them so that cleans them a bit but mud is fun to run through too! I don't however have much for callouses or any other growth on my feet. The bottoms are more like suede and just tough. 2) Mostly you just avoid anything you might not want to step on. I have had 2 little slivers of glass that were annoying but thats all. I have injured my feet more in my own home stepping on frakkin dino toys or glass or a staple a few weeks ago! The glass outside is sparkly and easy to spot and the roads are cleaner than you would think. 3) I can run outside until it gets to about 37 degrees. I could condition my feet to take colder temps but I don't like the cold anyways and regarless of foot wear I don't like cold lungs. Very unpleasant so I run on the treadmill or wear Teva Proton water shoes if I get a semi nice day to get out. When I ran the half marathon in October it was about 35 and my feet were pretty numb the whole time but no injuries or blisters. i know, i hear you wanting a great 'race' weight. i say, go w/your training and the volume of it leading up to oct will make you at race weight. you WILL get used to the bloating, but still will experience it at least the entire rest of the day after the long run. it's a natural response and will happen at least to some small degree every time. after a couple months of it, you'll be used to it and except it as part of the process and not as a failure on your part because you are temporarily "bigger". food? well you know me and food and my addictions. and my desire to lose 5-10 more lbs. but i am starting to think that i need to relax. put good fuel into my body, stick with my exercise program and if it happens, it happens. one of the things i know is that it is harmful to my mind and my body to put so much pressure on myself. i am a size 6. do i need to be a size 2? i used to be a size 24 for cripes sake... do i have a right to complain!? the stress of trying to be perfect - a great runner, a perfect body etc etc is too much. take care of your body, revel in what it can do and stop beating yourself up. hey Angie! 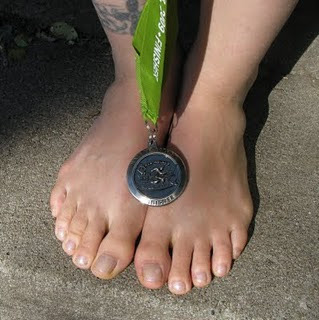 I'm so impressed reading about your progress, and I know you can do a barefoot marathon! I was just at the Boston marathon over the weekend and saw a barefoot runner sprinting to the finish in great form. I would love to do the same. Right now I'm battling a piriformis injury (ugh), but hopefully I can get back in the game soon! I get that bloating post-run too; very annoying, but that's probably all there is to it. I think it would be an awesome adventure for you to marathon this fall. YOu're right, you already have a great base for it. And like A.M. said, go with your training weight--the extra mileage will take care of the rest! Hi there! I'm so glad I found your blog, and a huge thank you for advertising my contest! :) I used to be into running and ran one marathon about five years ago. At the time, I thought I'd run another one, but life got busy and I didn't have time to train, and now I just run on the treadmill so I can watch movies. :) Do you run barefoot even on the treadmill? I saw in one of the comments that you run on the treadmill when the weather gets too cold. Do you do long runs on the treadmill too? Even with a movie, I don't think I could stay on it for more than an hour. I keep telling myself if I would just lose 10 more pounds I could get my pace under 9 minutes! I read somewhere that for every pound you lose you shave off 2 seconds from your time! I have four kids too - and we lived in Iowa City for three years while my husband was at U of Iowa. We loved Iowa! 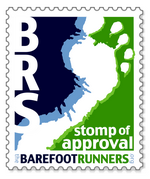 Can't wait to follow you on your journey to a barefoot marathon! I'm sure you'll do it! As someone who just ran her first 20 and 21 miles I can totally relate to the bloated feeling. It has gotten better with each subsequent run though. The first time I felt bloated for 5 days so I think it takes your body a bit to get used to it. I have no good food advice either...I also can be really good for a while and then want to eat everything in sight. I'm just trying to eat well about 90% of the time. wondering how the &^$#@ your toes/feet look so fab with all the barefoot running. ;) Half of my toes are purple [not from polish]No lost toenails, this way..... what a novel idea. i was thinking the same thing Emz said. How do your feet stay so pretty? I don't ever run barefoot and my feet don't look half as nice as yours. Dang! I'll never forget my first Boston Marathon in 1999 and as we were getting ready to start the race, i looked over at the guy next to me and he had no shoes on!! I was with mouth on the ground. I couldn't believe my eyes. Don't think I'd be as shocked these days. I hope you qualify for Boston and I'm there too. Would love to run with you. This post really hit home for me. I am one suffering from running injury after injury. I tried to run a mile barefoot on the mill and it hurt, but then again I had bad shin splints at the time. I am out for 6 weeks right now with a stress fracture and you have really got me thinking about starting up barefoot when I can run again. Your weight loss sruggles also hit home. I have a lot of the same issues with food and have now gained 10pds with my no running. Food is my happy place, I guess I need to try and start thinking about it different like you said. Thanks for the great post, I really needed this one! I'm just intrigued with your theories and ideas, especially after suffering at Boston with calf cramps but wow, it's such a HUGE leap to even try running barefoot. I just can't explain it! I love that picture with your timing chip on the shoe lace, so neat! As for the weight and eating! I am so struggling with the exact same thing. Except my extra is super fluffy and must come off! But yes...food is everywhere! Angie I am so impressed and inspired by you and your bare feet! I am up to about 5 barefoot treadmill miles but am getting sooo discouraged with the trail running. So very awesome! I look forward to reading your blog and learning more from a barefoot runner! holy cow i didn't even know that was possible! amazing! I like the idea of barefoot running a whole lot better than actually doing it - mostly because I live in an urban environment. I spent much of my youth running around a farm barefoot though. I too wish I could handle early mornings, but it just never seems to happen. Awesome. I can't wait for you to run Boston Barefoot. Just wondering... do you run over pebbles ? If so, how did you get used to it ? I used to run, but old age and diabetes set in so now I just walk at a good clip. But...God is good...at least I can walk. It does hurt to step on pebbles however with a light and gentle step it gets much easier. When you first start out your brain is not used to the sensory stimulation on the bottoms of your feet after being in shoes for so long. After time and adaptation, it gets much easier and the soles of your feet adjust to the stimulation. Think of the pebbles as instructors of good form. The more you relax, the easier it is. I would start on clean pavement or sidewalks and do lots of barefoot walking on different terrains. So interesting. I'd never have the guts to run like that, but I have so much respect for people who do it. 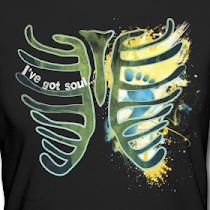 SOudns like a great fit for you. Have you read the book: Racing Weight, by Matt Fitzgerald? Will tell you how well you race with lower bodyfat and weight...plus haas some great examples of diets for runners to keep them fueled and lose weight. Just a thought. Are you running Des Moines Marathon in October? I have a client running it and wondered what you thought of the course??!! I totally understand what you were saying about food being a coping mechanism and something to help self medicate. It's something I've struggled with my whole life, and continue to this day. I want to be healthy! I want to lose weight...but I seem to constantly struggle. Eat too much ( almost always! ) Cut back...= am I cutting back too much? Nothing is happening...oh wait NOW I'm starving...instantly stuff my face. Ughhh....I WILL get it right one of these days! Angie, I just received a 'comment' oh this and "Screw the Earth Day..." post. It supposedly comes from 'student aid'. Both have entire sentences swiped from my comments but there are some other sentences that are not mine.